Will Elliott is a friend of Cinder and a remarkable networker. Will has been working in the real estate industry since 2008, both as a property manager, and now as a broker. 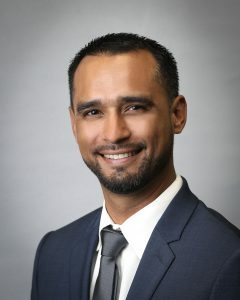 After living in the Portland area for almost a decade, he moved back to Hawaii in 2017 to work for Cushman & Wakefield ChaneyBrooks and use his experience to bring value to the community in Hawaii. Q: Why do you think networking has been helpful to you? Will – Networking is always helpful because at any given point in time, when you’re working with businesses or consumers, people are looking for something. Not everyone is perfect, not every business is run as perfectly or efficiently as possible. There’s always a pain point or an opportunity that people are looking to grow or expand. My approach to networking has always been about understanding who I’m working with and how I can add value to their business or life. I’m a big believer in giving more than receiving – it all comes back eventually. The more you put in, the more you get out. Ultimately it comes down to building relationships. A lot of the time, the business opportunities that have come up throughout my career have come from relationships that have been established without selling an idea or concept from the first conversation. One of my clients back in Portland, described good networking as “doing business with people you know, like, and trust.” You need all three pillars to move forward. Q: It sounds like you’ve known that networking was important for a while. Will – It’s important to understand the value of surrounding yourself with people who are going to help you learn and grow. You can’t really lose if you’re continuing to put yourself out there and attracting good people. The only way you can lose at networking is if you’re only networking for selfish reasons, like to close a deal or sale just for yourself. You’ll meet many people who just want to put you on their email list or close you in the first 5 minutes of the conversation. Very rarely when you need their product or service are they going to be the first person you call. Q: What’s your best networking tip? Will – The best question that I’ve been asked is “how can I help you.” I usually reserve it for people I trust and want to do business with – not every person I meet. I try to identify people who have a reciprocal mindset and add value to them. Being able to give first without asking for anything in return has separated me from a lot of other networking participants and commercial real estate brokers. When people call me, they know exactly what they’re going to get. Q: Are you a natural at networking? Will – It’s taken a lot of time, energy, and practice. It’s become second nature, but it’s not natural at the beginning. At this point I feel comfortable in networking situations and meeting new people. What I challenge myself with is understanding their perspective on business or whatever issues are on the table, whether the event is focused on non-profits, charitable donations, or what’s next for the economy. Q: How can people get over the fear and anxiety surrounding networking? Will – It’s intimidating walking into a room, whether it’s 10, 50, or 1,000 people. It’s overwhelming. One thing to keep in mind is that not everyone knows everything. There are people in there that are also nervous. Even the people there that look the most confident have some sense of nervousness. Everyone is basically in the same boat, so it’s about how you channel your energy to exude confidence and expertise in what you know well. It can be beneficial to bring someone else with you – if you can find people that you are confident talking about and promoting their business, the conversation will naturally come back to you. Q: For situations or events when you don’t have a partner, what’s your game-plan? Will – I try to make a good relationship with the people at the front desk or check-in desk so that I can ask them who is going to be there and if there is anyone I should get to know. I make sure to introduce myself as well as thank them for all the work they do – it takes a lot of resources to put events together, and giving thanks goes a long way. When I throw my events and people thank me, it tells me that they appreciate the work that I’ve put in and it makes me want to help them. Don’t feel like you have to get stuck talking to one person for the entire event. Some people prefer to talk to as many people as possible during an event, other people try to find 5 good conversations. Defining your purpose for going to an event helps narrow down your strategy so that you spend your time efficiently. Q: What kind of follow-up do you do after meeting someone for the first time? Will – It depends on the conversation and where we left off. It might be an email follow-up that night or the next day, or it could be a promise to touch base in 6 months and get coffee. Sometimes it works best to immediately set up coffee, lunch, happy hour, or an office visit so that you can get more 1:1 time with them. I’m a big fan of photography, so I bought a drone and started making custom thank-you cards with drone photos that I take. People love hand-written things. They love being able to touch and feel things, especially in today’s digital age. I’ve gotten a lot of great feedback from taking a bit of who I am and putting it into my communication. Q: Do you use social networking often? Will – Absolutely. Instagram has been one of my favorite tools lately; you can get access to so many different celebrities, influencers, musicians, business owners … you can understand brands better and how they are projecting themselves, whether it’s through video, photography, or community-based objectives and goals. I’ve made a lot of great relationships just within the last year that are going to turn into a lot of amazing business opportunities. I’ve been working with some partners in the musician scene on helping the local community elevate themselves, coming in with my commercial real estate background. I’ve also been collaborating with other business consultants putting something cutting edge and new to market. It’s about pulling from different sources of influence and combining that with their talents. Q: How do you keep track of your network? Do you have a system? Will – It’s more organic than anything else, though it’s something I’d like to make more of a system – getting a good CRM is critical. That said, an itemized system can get overwhelming and put you in analysis-paralysis. It all goes back to understanding your strategy and figuring out the best way to be effective and execute on that. Ultimately you want to be authentic and come across as such. Naturally I’m not someone to promote myself and what I do all the time. Some people are great about that and don’t mind what people think; they’ll just go out and promote, promote, promote – and that’s fine, if that’s who you are. For me, it’s more about networking with other influencers, having other people share my story, and sharing my expertise.